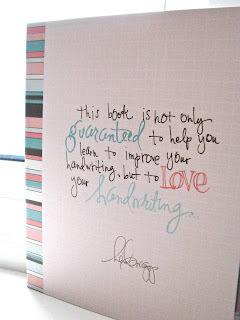 I have been thinking about working on my handwriting for a while now. I just wasn't sure how to do it. Then I remembered seeing this book at my LSS. They no longer had it in stock so i went online to order it. It finally arrived in the mail today and I'm so exited. 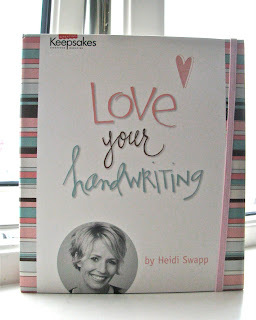 :-) The name of the book is Love your handwriting by Heidi Swapp.